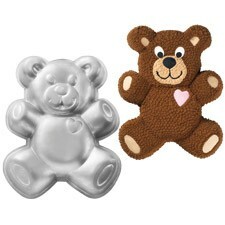 A high quality aluminium baking tin in the shape of a bear. Can be used over and over again. Full instructions included with recipe and decorating ideas to create your own beautiful cake for your baby shower.